The National Military Family Association is at the forefront of the issues that matter most to military families. Whether it is writing letters in support of legislation, keeping track of bills in Congress, or providing testimony, if it affects military families, we are here. We remain constantly updated on the latest issues that affect the lives of military families and provide a voice for their concerns. 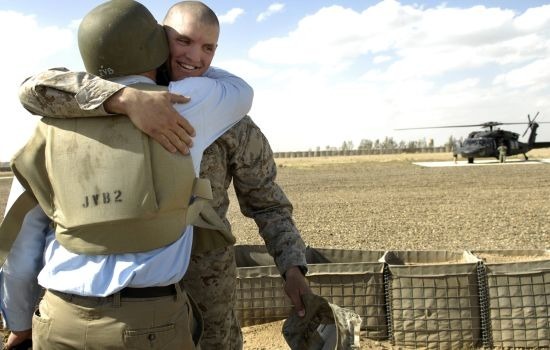 We care about the quality of life for military families and the issues they are faced with every day. Who is the best advocate for military families? Military families. Learn how we, as military families ourselves, interact with our own community to understand what issues are the most significant. Find out what you can do to make sure that the well-being of military wives, husbands, children, parents, and siblings is at the forefront of policymakers’ minds. More than 40 percent of service members have children, and the largest cohort of these children is under age five. Unsurprisingly, access to quality, affordable child care is often cited by these families as one of their biggest concerns. For service members, who move frequently, often live far from extended family, and may work long or irregular hours, the challenge of finding and paying for quality child care can be even greater than for their civilian counterparts. It is not always recognized as such, but child care is a readiness issue. 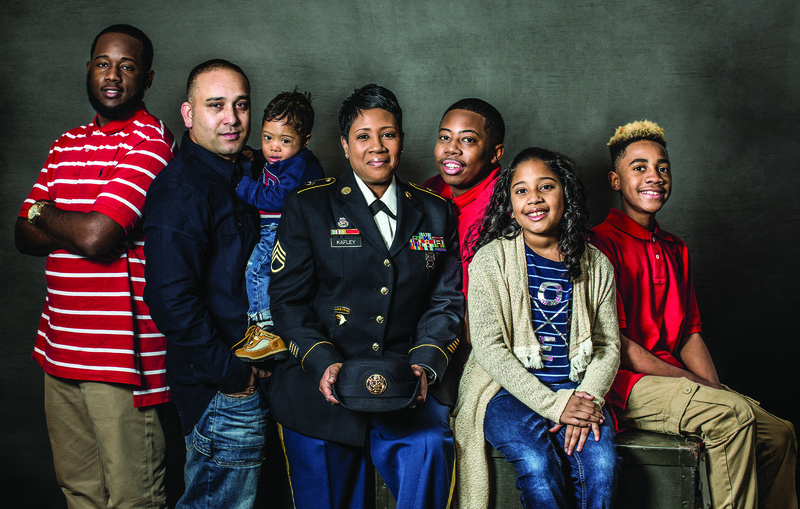 Service members face the same challenges as any other working parent. Without reliable child care, they may find themselves having to miss work, potentially threatening the readiness of an entire unit. In addition, lack of quality, affordable child care can be a barrier to military spouse employment. At a time when most families rely on two incomes to make ends meet, a military spouse’s inability to work due to a lack of child care can have a significant impact on a family’s financial well-being. Access to quality, affordable child care is not just a “nice-to-have” part of a benefit package. Rather, it is central to service member and family readiness. We’re pleased that in recent years Congress and the Department of Defense have recognized the importance of child care to military families and have taken steps to make quality child care both more available and more affordable. While many military families benefit from these programs, more needs to be done to ensure that all military children are in safe, high-quality child care settings. Ensuring installation Child Development Centers (CDCs) and other installation-based child care programs are fully funded. Expansion of the popular fee assistance program. Many military families cannot use installation child care providers, either because of lengthy waiting lists or because they do not live or work near an installation. These families must seek care in their local communities, which is often much more expensive than installation-based care. To help families offset this expense, the Services instituted a fee assistance program – but too many families are unaware of this program or are not eligible for it. Encouraging states to adopt the highest standards for safety and quality to ensure that military children across the country are in the safest possible settings. Staff members at DoD child care facilities are subject to extensive background checks and the facilities are regularly inspected. Military children who receive care from community providers deserve the same level of safety and quality. In our testimony before the Senate Armed Services Committee, we asked Congress to ensure adequate funding for military child care programs, including child care fee assistance programs. Military families who need child care and don’t have access to an installation CDC may be eligible for fee assistance. Air Force, Army, Navy, and Marine Corps families, contact Child Care Aware for additional information. For the long-term retention of the volunteer force, compensation should be competitive with the civilian sector, and recognize the extraordinary demands of military service. Military families cannot afford to have their pay checks chipped away with lower pay raises, reduced basic allowance for housing, increased out-of-pocket costs for health care, and a cut in commissary savings. Require annual pay raises remain tied to the Employment Cost Index (ECI) as prescribed by law. Department of Defense (DoD) is asking service members to pay more for their housing (BAH reduction). BAH no longer covers 100% of housing and utility costs for a given location or pay grade. Service members and families have to absorb a percentage of housing costs – an average of 2% for calendar year 2016 and 1% a year for the next three years. Military families are paying more for their healthcare (increased copays). DoD continues to threaten cuts to the commissary, which provides 30% savings over other discount grocers to military families around the world. Military spouses already earn less than their civilian counterparts and endure reduced career progression when they move with their service member. To reduce the purchasing power of military families is to threaten the very livelihood of those we depend on to defend our Nation. For complete information about the Basic Allowance for Housing, please click here to view the BAH Primer. The biggest threat to military family well-being is posed by sequestration. Unless Congress acts, the looming spending cuts mandated by the Budget Control Act of 2011 will drastically impact the programs and services military families rely on to maintain their readiness. While our Association understands the need to reduce government spending, sequestration places the burden of balancing the budget squarely on the shoulders of military families. We ask Congress to end sequestration and reject budget proposals that threaten military families’ well-being as a way to save. Health care. In 2013, furloughs of civilian medical staff led to reduced hours or operation at military hospitals and clinics, thereby limiting families’ access to health care. Additional cuts will force families to endure longer wait times for appointments and delays in obtaining treatment. Child care. Families worry that budget cuts will force installation child care centers to reduce their operating hours or turn more families away. Families who use the fee assistance program wonder if those funds will still be available. Children’s education. 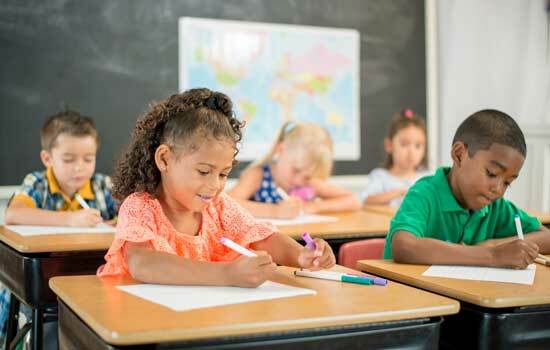 DoDEA schools, which educate nearly 100,000 military children, are subject to sequestration. Mandated furloughs of DoD civilian employees – including teachers and administrators at DoDEA schools – would force schools to close for days. Cuts in school operating expenses will compromise the system’s ability to offer a high-quality education. Commissaries. Spending cuts could lead to stores reducing their staff or hours of operation, or force them to reduce the inventory they can offer. Any of these changes will erode the value of a benefit military families rely on to make ends meet. 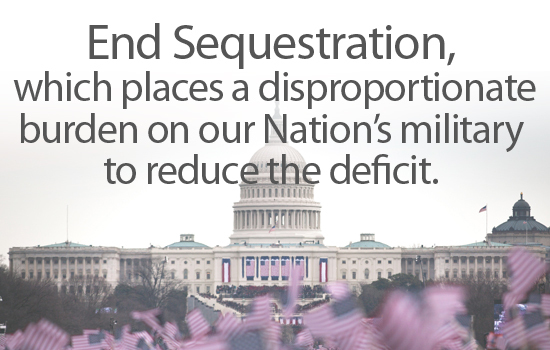 Ending the devastating effects of sequestration. A strong military sustained by supporting service members and their families during times of war and peace. Reasonable solutions to end sequestration without jeopardizing mission readiness and family support. We ask Congress to end sequestration! Affordable and timely access to health care is important to all families, but it is vital for military families. Repeated deployments, caring for the wounded, ill, and injured, the stress and uncertainty of military life, and the ability to maintain family readiness demand quality and readily available health care. A robust and reliable health care benefit allows families to focus on managing the many challenges associated with military life versus worrying about how they are going to access and pay for essential health care. The military health care benefit must address the unique conditions of service, and the extraordinary sacrifices demanded of service members and their families. One of our top priorities is to ensure families of all seven Uniformed Services have timely access to high quality, affordable health care. A military health system that ensures the right care is provided at the right time and at the right place. TRICARE reimbursement policies that are comparable to commercial and other government plans. A thorough analysis of future TRICARE policy changes prior to implementation with an emphasis on the impact on beneficiary access to the medical standard of care. Enhanced TRICARE communications to inform providers and beneficiaries of policy changes in a timely manner and better educate TRICARE beneficiaries on referral, authorization and appeal processes so they can obtain the care they need. TRICARE and Defense Health Agency policies that minimize the disruptions in care military families face due to frequent PCS moves and provider turnover in the MTFs. Decisive action to address problems with pediatric care within the Military Health System (MHS), including a definition of medical necessity that ensures military children comprehensive and quality health care consistent with pediatric best practices. An enhanced Extended Care Health Option (ECHO) program for special needs families that covers essential products and services and expands eligibility to one year following separation. A stipend for mobilized National Guard or Reserve members to pay for family coverage under their employer-sponsored insurance plan. Secretary Hagel’s action plan, following the MHS Review in October 2014, to achieve the goal of becoming a preeminent health care system including clearly identified standards for access, quality and patient safety as well as an enterprise analytic capability to monitor performance, identify problems, and improve services. After years of repeated combat deployments, it is a moral imperative to provide service members and their families with effective mental health care. One of the consequences of over 16 years of war is demand for mental health services that continues to outstrip supply. Additionally, a recent RAND report finds that only a small percent of existing providers deliver evidence based, culturally competent care. We believe the need for behavioral health care will continue to grow over the next several years and we encourage policy makers and our elected officials to seek innovative solutions to address the provider shortage and enhance the quality of care delivered to service members and their families. 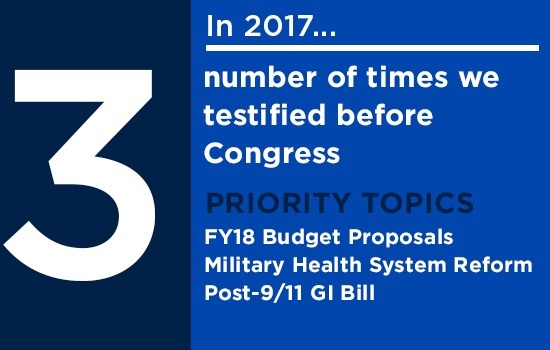 Maintaining zero out-of-pocket costs for military families seeking behavioral health care, as well as the referral/authorization waiver for the first 8 behavioral health care visits. Tracking military family member suicides to assess the magnitude and trend of this problem. Educating service members and their families on mental health care benefits and what to expect when seeking care. Offering federal loan forgiveness to military spouses and others who enter the mental health profession and actively serve military families. Reimbursing TRICARE mental health providers at higher rates to attract additional civilian providers to the TRICARE network. Providing a tax credit for military spouses to relicense after a military move to offset the out-of-pocket costs associated with relicensure. Facilitating licensure and employment for military spouses and veterans who work in the mental health field and serve our Nation’s service members and families. Funding high quality programs to educate mental health professionals on the military lifestyle and the unique stressors military families face so they can provide culturally competent care. 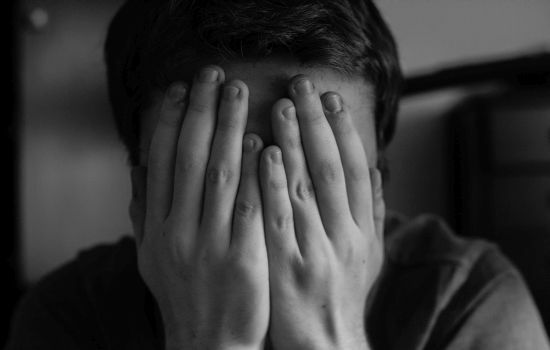 Evaluating mental health care programs for effectiveness. Given the stressors that service members and military families have faced over the past 16 years, we assert that Congress and DoD must take the lead in addressing shortcomings of our Nation’s mental health care system. While military life can be rewarding, it includes unique challenges that can affect the quality of children’s education. The average military child will move six to nine times between kindergarten and twelfth grade and may attend two or more high schools. Our Association supports efforts by schools and communities to ease military children’s transition challenges. However, we also feel that the federal government and the Department of Defense have a responsibility to support local school districts who have taken on the responsibility of educating the nation’s military children. Raising awareness of the Interstate Compact on Educational Opportunity for Military Children, in order to resolve issues that children face as they transition to new school districts and states. Fully funding Department of Education Impact Aid, to help districts offset the costs of educating large numbers of military connected children. Continuing the Department of Defense Impact Aid program to support school districts with a large concentration of military children. The Defense Commissary Agency (DeCA) offers a scholarship program for college-bound military kids. Each commissary will award at least one $2,000 scholarship. Applications are accepted starting on December 15. Military kids have access to free online tutoring through Tutor.com. TAPS has launched a portal for surviving family members seeking information about education assistance. Military families with special needs children can learn about resources available to them in each state with the recently revised DoD Education Directory for Children with Special Needs. For more information about the Interstate Compact, visit the Compact Commission website. The site includes contact information for Commissioners in each state as well as downloadable reference guides families can share with teachers and school administrators. Military spouses need to be able to enhance financial stability for their families. Education programs provide a foundation for career development. Spouse career support is essential to help them maintain careers over their many moves. Programs to address these requirements should be available regardless of service or component. 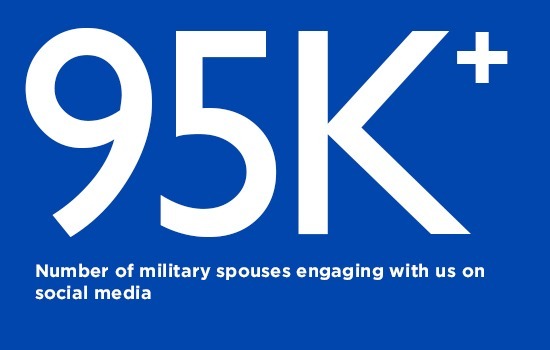 Enhance programs that connect military spouses with employment, to increase financial stability and growth for military families, and spouse Career Support to help them maintain those careers over their many moves. Military spouse unemployment remains five times higher than the civilian population and those who are employed earn 25% less than their civilian counterparts. Moving and operational tempos have dramatic effects on the ability of military spouses to contribute financially to the wellbeing of their families. Programs to reduce these negative effects must remain robust. Increase educational support for military spouses. MyCAA was a great success when it was available to all ranks. Now that usage is limited by rank and program, it is underutilized. It should be reopened to maximize the reach of the assistance it was meant to provide. Increase educational and employment support for spouse of the USCG, NOAA and the USPHS. Continually, we find that these spouses in these services face the same employment and educational challenges as spouses of members of the Armed Forces, but do not have access to similar programs because they are not funded through the Department of Defense. Knowledge of the Priority Placement Program for military spouses in positions within the Department of Defense is not widespread. Priority must be given to training installation support providers to maximize the usage and effectiveness of this program. We need Congressional tax relief for military spouses burdened with multiple fees and costs for new state licensures and certifications necessary to continue their careers after PCS. Transition services must be made available and accessible for military spouses. Each of the services transition programs should provide information that aids the transition of the whole military family, including space and information that relates to the entire family, including nonmilitary spouse employment. 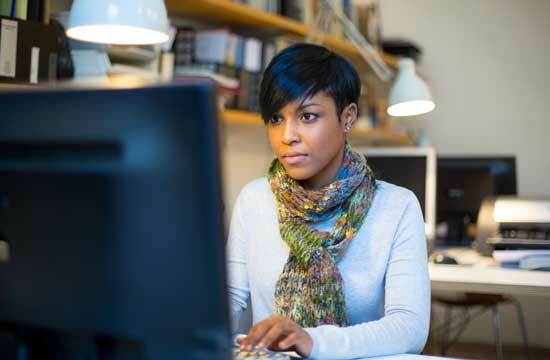 Find valuable information about spouse eduction, spouse employment, and scholarship opportunities right here on our site.